The head of a Maryland chapter of a prominent Pakistani political party has been accused of threatening to “slaughter” a man and his family in their Virginia home, according to Fairfax County, Virginia, police and a search warrant. Qaiser Ali, 53, of Halethorpe, Maryland, was arrested Thursday (April 4, 2019) and is facing a single felony count of promising to kill the unnamed victims via a message and video in Urdu posted to Twitter in November, police said. Ali denies the charge. 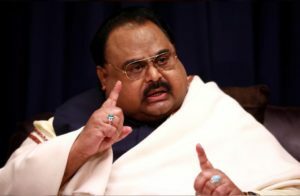 Ali is the head of the Baltimore, Maryland, chapter of the Muttahida Qaumi Movement (MQM) party, which has been linked to violence in Pakistan in the past and has been the subject of a crackdown by Pakistani authorities in recent years that has been criticized by human rights groups. The party is secular and has a base of support in Pakistan’s largest city, Karachi. Its founder, Altaf Hussain, fled Pakistan in the early 1990s and lives in London. “We the loyalist faithful workers of Brother Altaf Hussain are, willing God, we will storm through and kill (slaughter) you in/at the house,” the tweet read in part, according to a translation by police contained in a search warrant filed in a Fairfax County court. The main alleged victim told police that he and his family feared for their lives because he knew people who had been executed at the direction of MQM leadership, according to the search warrant. Police said the alleged victim told detectives that he had once been involved with the MQM. Ali and the alleged victim apparently knew each other. In an interview via an interpreter, Ali denied making a death threat, saying police had mistranslated his tweet. He said one of the alleged victims in the case had posted numerous harassing messages about him on social media and that he responded with a tweet threatening to beat the man up but not kill him. “Ali said it in anger, and police mistranslated it,” the interpreter said. Ali said the disagreement stemmed from an internal MQM dispute over the handling of party funds. Police declined to say what they think prompted the alleged threats. “There was no indication that the suspect made any plans to carry out the threat that was communicated,” Detective Chad Mahoney said in an email to The Washington Post. Mahoney said that police had not uncovered any evidence that Ali possessed weapons or knew the main alleged victim’s address. Messages to the Baltimore chapter of the MQM and the national organization were not returned. Fairfax County police launched their investigation in November after the alleged victim contacted them about the Twitter message, according to the search warrant, which was filed to obtain information about an IP address. The alleged victim and two other witnesses told police that they believed Ali was responsible for the post. Detectives eventually tied the threats to Ali via electronic records, according to the search warrant. Ali’s Twitter account features praise of Hussain and commentary on Pakistani politics. In 2016, Ali was charged in Baltimore with second-degree assault and possessing a dangerous weapon with intent to harm, but the charges were eventually dropped. Ali’s arraignment in Fairfax County is scheduled for Thursday (April 11, 2019).